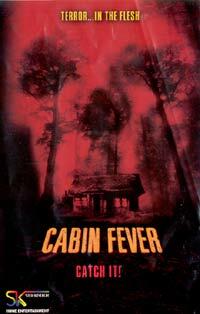 What starts out as your regular students-vacation-in-the-woods-horror takes a gruesome twist. Here the horror that faces the over-sexed, boozing personalities of varied annoyance is not a guy with an axe, a beast from the swamp or an evil spirit. It is an invisible virus slowly and indiscriminately eating away your flesh. The group is exposed to this terror via a forest dweller who got infected, begging them for help. They freak out and it leads to lethal consequences (their car also wrecked in the process). But it gets more deadly when the infection spreads and they can't drive to get help. The locals (including an idiot cop) are little help and slowly their paranoia and fear has them turning on each other. It's a different kind of horror that is a combination of apocalyptic terror, dark humour and cheap scares, highly enjoyable as result. If this is not your kind of thing, perhaps the fact that David Lynch was involved in an undercover executive producer capacity may tickle your interest a little more in watching Eli Roth's debut. Lynch regular soundtrack genius Angelo Badalamenti also wrote a few of the score themes.